Keurig K10 vs K15 – What’s the Difference ? Keurig K10 vs K15 which brewer should you get ? 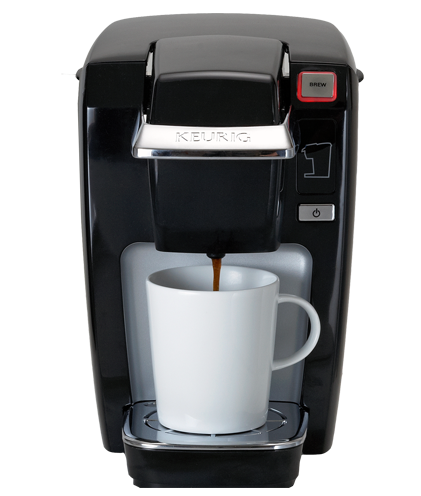 If you are in search of a single serving coffee brewer ​that won't break the bank then the smaller Keurig machines are certainly worth a look. The K15 is the only choice. Although the K10 was quite a hit initially however it was found to be quite a defective machine. So defective in fact that there was a considerable risk of using it. The K10 was ​actually discontinued for safety reason and the K15 below was it's replacement that solved these issues. "Keurig has received about 200 reports of hot liquid escaping from the brewer, including 90 reports of burn-related injuries." ​So, clearly the only choice to make is the K15. The K15 is a single serve brewer from Keurig. It has a fairly small footprint on your counter top, so is ideal for studio apartments and college dorm rooms. The K15 is not best suited to those that require a strong coffee, both in flavor and caffeine levels. If you are after those traits then it would be better to try a more powerful machine. ​If you are looking for something a little larger and more versatile especially for more than one person then try the K50 or K55. One of the main functional negatives about the design of the K15 is that the water reservoir is only really good for one brew. ​Having to refill the water so frequently is certainly not ideal. However this is probably why the unit is so compact so you are trading some convenience for such a small brewer. What is the difference between the Keurig K10 and K15 ? Design wise there is virtually zero difference between the K10 and K15.